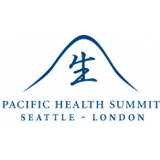 The goal of the Pacific Health Summit is to connect science, industry, and policy for a healthier world. Every June we convene top decision-makers in science, policy, industry, medicine, and public health to discuss how to realize the dream of a healthier future through the effective utilization of scientific advances combined with industrial innovation and appropriate policies. And each year we focus our discussion on an issue of critical importance; vaccines in 2011, maternal and newborn health in 2010, multi-drug resistance tuberculosis in 2009, nutrition in 2009, and pandemic influenza in 2007. 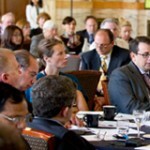 In 2012, the Summit took place in London, with the theme "Affordable Technology for Health in an Interdependent World." The Summit is a year-round process. In addition to the June meeting, the Summit provides an ongoing forum for world leaders to improve health by working together to grapple with problems and solutions, share best practices, and forge effective collaborations. Bring together an unusual, effective mix of high-level individuals in an outcome-oriented, friendly setting to form new, integrated alliances. Provide new insights on critical global health themes that help strengthen our partners’ work and strategic direction. Engage the business sector, putting to use its valuable knowhow and creativity. Create a foundation for substantive, long-term, personal communication and collaboration. Importantly, our annual themes are revisited in each subsequent Summit in order to maintain momentum and build additional support for tangible progress.